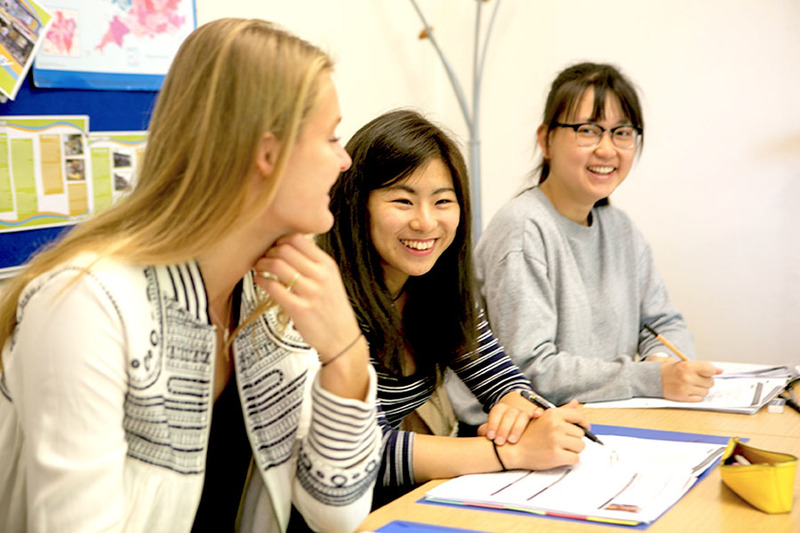 Our academic courses are also described as seminar courses, and consist of small groups of six to eight students (our classes are capped at 12). Our seminar courses may include a presentation, however you are actively encouraged to participate. 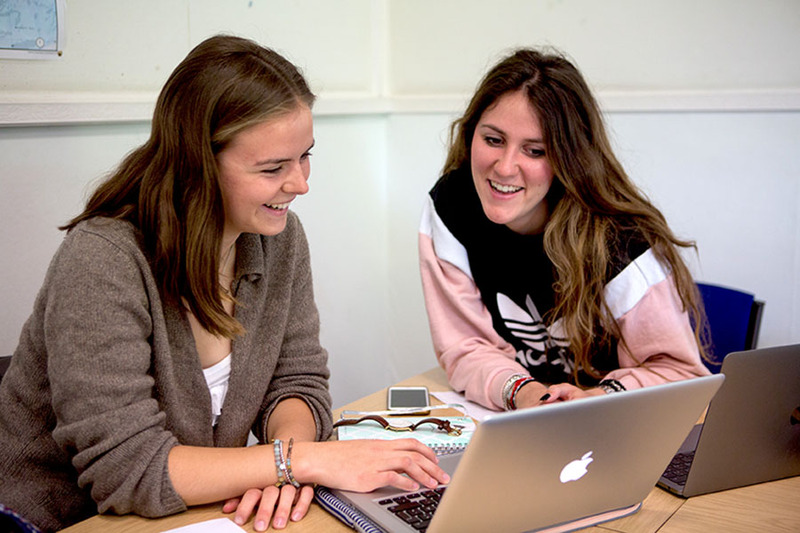 The aim of our seminar courses is to enable you to take responsibility for your learning whilst benefiting from the expertise, support and encouragement of tutors in a shared learning environment. Our Seminar Series provides the opportunity for you to develop your academic studies through a stimulating mix of classroom activities, guest lectures, study visits and excursions, which are all connected by a weekly theme.The themes change regularly, however here is a sample of our activities. If you are a study abroad student can take this seminar for credit. Please note: For USD students this course transfers as either an upper division History or upper division English. If you have any questions about our seminar courses, please get in touch. This course will provide an overview of human development as it occurs from the moment of conception to middle childhood. The central questions are: What develops (e.g. physical development, brain development, cognitive development, acquisition of language and memory, development of gender, emotional, social, and psychosexual development)? How development occurs? What are the factors explaining individual differences in development (nature vs. nurture)?What constitutes abnormal development? This course aims to engage the students in philosophical considerations of what is meant by ‘good’, ‘bad’, ‘right’ and ‘wrong’. By approaching different theories concerning these concepts, the nature of moral problems in everyday life will be illuminated and examined. Over the duration of the semester students will develop a multi-faceted appreciation of what is at stake in moral debates. 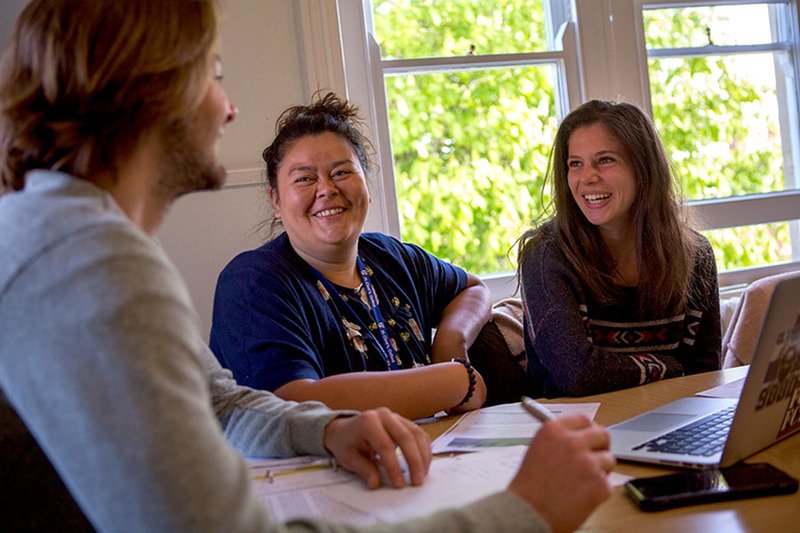 The course will enable students to understand the depth and significance of moral issues and engage with them from the perspective of a number of different theoretical positions. Ultimately, students will be able to advance complex debates concerning these issues. What is a human being? Are we essentially physical creatures, or do we have a spiritual aspect? What happens to us when we die? Are human beings basically good or fundamentally wicked? What motivates us? These are just a few of the questions that will be considered in this course on the philosophy of human nature. We will first consider the ontology of the human person, and then move on to examine various conceptions of the human person (religious, philosophical, psychological and biological). The primary objectives of this course are to enable students to develop technical accounting measurement, reporting skills and to critically analyze information. Sources of data and preparation of financial statements in manufacturing organizations are studied. Primary emphasis is on costs for control, decision processes internal to the firm, including standards of performance, relevant costs for decisions, budgets and capital investment considerations. The focus of this course is information requirements and transaction processing procedures relevant to integrated accounting systems. The course emphasizes accounting system design, analysis, and related internal controls. discuss the economics and politics of international trade. Global business, finance and economic news will be reviewed and analysed in order to understand the impact of international and national economic policy on international business. This course is designed to offer first time economics students an introduction to the most important economic concepts and issues. It offers students the opportunity to explore microeconomic concepts such as market supply and demand, externalities, and industrial organisation, as well as macroeconomic concepts such as of money, interest rates, inflation, unemployment and macro- economic policy. The goal of this course is to understand the economic problems of developing countries by using economic theories and their applications. A majority of the world’s population lives on less than $2/day. The goal of this course is to better understand the lives of the world’s poor. Why do they remain poor? Specifically, what economic policies and market failures hinder their quest to improve their well-being? Is there scope for policy to help the world’s poor? These are some of the exciting questions that we will address during the course. This course is designed to offer first time management students an introduction to human behaviour in a variety of organisational settings. It offers students the opportunity to examine the interface between human behaviour and the organizational context, and presents frameworks for managing people in organizations. Topics addressed include: perceptual processes, personality, learning, motivation, attitudes, stress, group dynamics, inter-group behaviour, conflict, power, politics, leadership, and cross-cultural implications. This is an introductory course designed to give the student an opportunity to understand the exciting, dynamic, and challenging field of marketing. Primary emphasis will be focused on providing the student with the traditional and contemporary elements of marketing: specifically on how marketing relates to an organization’s strategy and decision-making. Teaching will comprise a mix of methodologies. Students should expect to participate in discussions and make presentations based on readings or case studies. As this is a marketing course, be willing to exercise your creativity, you will be expected to apply the course notes to consumer and supplier situations. This course is designed to ensure students develop an understanding of the concept of professional selling and its role and practice in both profit, and non-profit and service organizations. Students will study the evolution of selling as a business function and as an academic discipline. There will be practical application of theoretical principles to realistic selling problems and situations. Students will learn to formulate a selling plan for an organization. This course is intended to introduce students to Shakespeare by focusing on a select number of plays. It is designed to provide students with secure knowledge of works in important socio- historical, religio-political and theatrical contexts. One important objective is also to encourage students to pay close attention to Shakespeare’s language at work through close readings of texts in class. Close supervision of students’ written work will also be provided. The aim of this course is to give students the opportunity to study one Shakespeare play – Hamlet – in great detail. Close attention will be paid to the practical criticism of Shakespeare’s language and stagecraft, as well as the play’s sources and historical context, discussions of the enduring themes of the play and its performance history on the stage and in other media. the twentieth century who can teach us how to read the Romantics. Students will also learn to pay careful attention to language. As well as providing detailed knowledge of Romanticism from different critical perspectives, this course fosters research and essay writing skills. It aims to give students the confidence to reconstruct and so test or defend their ideas in both academic and social contexts. This course will explore the modern short story tradition from c.1800 to the present day. The focus will be on close readings of a range of exemplary Irish short stories, framed in the context of modern Irish (and European) history and culture. Handouts of short critical essays, reviews and stories will be distributed prior to the seminar, and students will be encouraged to respond to the primary texts from a variety of critical and cultural perspectives. Writers to be discussed include Guy de Maupassant, Anton Chekhov, Maria Edgeworth, Sheridan Le Fanu, Oscar Wilde, George Moore, W.B. Yeats, Daniel Corkery, Seumas O’Kelly, James Joyce, Samuel Beckett, Flann O’Brien, Aidan Higgins, Liam O’Flaherty, Seán Ó Faoláin, Frank O’Connor, Elizabeth Bowen, Mary Lavin, Julia Ó Faoláin, William Trevor, John McGahern, Neil Jordan, Desmond Hogan, Colm Tóibín, Anne Enright and Claire Keegan. Crime fiction can easily be dismissed as a lesser genre, a poor – though indisputably popular – relation of greater literary works. To read it, however, is to discover, in Thomas Narcejac’s words, “a machine for reading”, as well as important commentaries on history, politics, and culture. This course will examine works of crime fiction from a variety of European countries in order to study the evolution of the genre and the theoretical approaches from which it has more recently been considered. This course will consider English poetry, prose, and drama from the late sixteenth to the mid- seventeenth century. We will examine the formal features of a variety of texts, as well as the political, social, and historical contexts in which they were created, looking at such themes as the development of genre, the pastoral, religion, gender, patronage, and the role of literature in the formation of national and individual identity. Outside of the text, in its cultural and architectural offerings, Oxford itself is full of Renaissance traces. Some of this evidence we will explore together; I urge you to discover, like an early modern explorer in reverse, more of this ‘Old World’ on your own. Art Fundamentals examines art concepts and techniques in relation to interdisciplinary teaching practice. The course begins with a multi-cultural overview of how art weaves into the fabric of everyday life. Contemporary art concepts and terms are discussed and applied as they relate to the K – 8 classroom setting. Students engage in studio practice where a series of assignments leads to the creation of individual and collaborative art projects using a variety of art media. Finally, students create interdisciplinary, developmentally appropriate classroom curricula using the arts. Visual and media literacy are emphasized. This course explores the historical development of childhood as a social construction and of children’s fiction as a literary genre. Special attention is devoted to cultural concepts of childhood inflected in children’s fiction, and to the relationship between actual and implied child readers and adult authors/narrators. The course covers fairy tales, novels and picture books, as well as topics related the subject of children’s literature, such as publishing. Priority is given to understanding theoretical approaches, especially of ‘the child’ and the text’s aim to delight and/or instruct the child reader. engage in peer feedback – reflecting upon each other’s presentations of their ongoing research projects. N.B. This course is also offered on the Summer Education Programme. Cinema is truth twenty-four times a second. (Jean-Luc Godard) The purpose of this course is to introduce students to the theory, history and criticism of film. We will be discussing different ways of interpreting film, and applying some of these ideas to various selected texts. Some of the analytical models we will employ, such as semiotics or psychoanalysis, will explore the complex language of the medium (how film communicates); others, such as genre and auteur criticism, will examine the ideological relationship between cinema and society (what film communicates). Special emphasis will be placed on the multiple relationships between Hollywood and the national cinemas of Europe, and between literature and film. There will be DVD screenings throughout the course, and excerpts from a diverse range of exemplary films will be shown in class: both classic and contemporary, and from Hollywood as well as Europe. their learning, and will debate issues in class, keep a journal containing weekly entries related to the topics covered, give two presentations to the class (one before the half term break and one after), and develop an extended essay on a topic of their own choice. This course will focus on the European Union, its history, structure, and current role in international politics. We will consider the relevance of the EU as both an economic and political union. Beginning with the historical circumstances which led to the creation of the EEC in the 1950s, the course will seek to answer whether the EU is a truly democratic institution. We will consider the evolution of EU institutions and assess the effectiveness of the European Parliament. Other topics to be covered include the advantages and disadvantages of the enlargement process; the political phenomenon of “Euro-scepticism”; the relevance of the European Court of Human Rights; the impact of the EU single market and the single currency; and the “Turkish question”. This course will investigate, analyze and assess the main characteristics and dynamics of Terrorism, a complex political and historical phenomenon. Terrorism will be considered from a philosophical, historical, political and sociological perspective in an attempt to understand its most hidden aspects. The aims of this course are to illustrate, assess and explain Terrorism as modern phenomenon, indicating its main purposes, causes and goals. This course is designed to introduce students to enduring issues in the field of International relations: the nature of war and conflict; the sources and restraints on the cooperative interactions among states; and the functioning of the international political economy. In particular, we will focus on new forms of violent conflict and how the changing security agendas have created a new necessity for fresh thinking on conflicts and development. We will consider a number of contending theoretical approaches to these issues and we will also analyse the impact on the international political arena of more topical issues including terrorism, globalization, environmentalism and the role of the United States in the current international system. This course covers the development of modern Britain through its main constitutional, political, social and economic changes. The course will proceed chronologically but there will be ample opportunity for students to concentrate on topics of particular interest. The major themes will be the development of parliamentary democracy; the economic decline of Britain from being the most developed industrial country in the world and the impact of the experience of Empire and later decolonization. this course; while Communism lasted into the 1980s and 1990s before fading in infamy. The rise of these very modern forms of totalitarianism coincided with the end of empires and the rise of fresh nationalisms expressed in anti-colonial movements that plagued European nation states up to and beyond the Second World War. This course explores the interaction of war and ideology and looks for origins of totalitarianism in the late nineteenth century while pointing ahead to legacies of nationalisms in the post-war period. It is intended that the student should become familiar with historical methodology and the variety of interpretations available on key topics. Students will have an opportunity to study closely topics which they find of particular interest. This Course will take advantage of the excellent resources here in Oxford, including extensive collections in the Ashmolean Museum and Christ Church Picture Gallery. We will also visit Modern Art Oxford, Oxford’s exhibition space for twentieth-century and contemporary art. Throughout the course students will have ready access to outstanding examples of architecture in the city spanning a thousand year period. One major outcome is that participants will become familiar with a wide range of art works at first hand. During classes they will be introduced to different ways of approaching and understanding art. Students will also develop their skills in researching and writing about art and architecture for themselves. This is a survey course which will cover the principal developments in English Art and Architecture from the beginning of the Jacobean period to the end of the Victorian era. It will be a location- specific class, with introductory lectures to help students approach the study of architecture and painting. The works of art and architecture will be studied in relation to their social, political and historical background. Studying this course at St Clare’s will give students the opportunity to see major works at first hand. This course will focus on the development of modern and contemporary art in Europe, America, and other areas of the world. Questions of interpretation and meaning will be asked of works which are often accused of alienating the general public. This will involve an analysis of written manifestos, interviews, and criticism, in addition to the exploration of visual media. Movements will be assessed in their cultural and historical context. Much contemporary art has been seen as outrageous and/or transgressive, and we will consider the extent to which this is a new development or whether it has been a common feature of modern art. This theme will be expanded to assess the role of the artist in countries such as China and Iran. The multi-media nature of modern art will be recognised, and works of video, installation, sculpture, and performance will be explored. Particular emphasis will be placed on the rise of photography, and its importance in modern practice. The course will also foster basic interpretive skills, and ask how we may effectively ‘read’ an artwork. On a meta-level, the meaning of ‘art history’ itself will be briefly explored, and we will evaluate the idea that ‘reading’ visual media is analogous to reading text. Full use will be made of the Modern Art Oxford gallery – a centre that attracts artists of international standing. Other venues will include the Pitt Rivers museum, the Ashmolean museum, and London galleries. This course explores photography’s function and meaning in visual culture. It will both engage with the status of photography as a highly constructed medium and interrogate the way it operates to shape cultural understanding and mediate experience. It provides an exploration of the specificities of photographic practice, informed by contemporary critical theory, with emphasis on questions of meaning, power and identity and the production, distribution and consumption of the photograph within various media. It addresses the artificial divide between theory and practice by teaching the two elements in conjunction thereby emphasizing their inseparability. The look or style of almost every photograph is the result of institutional rules, conventions and modes of practice. Even the camera itself is a ‘theoretical’ construct, based on the Renaissance idea of monocular perspective, which in no way reflects how our eyes work when seeing. In this way we can see how theory informs, or rather constitutes modes of practice. Learn in seminars of 12 students or less instead of lecture rooms of 200 students.